Utilite™ LED technology. Impact resistant polycarbonate housing ideal for industrial, commercial and residential installations. 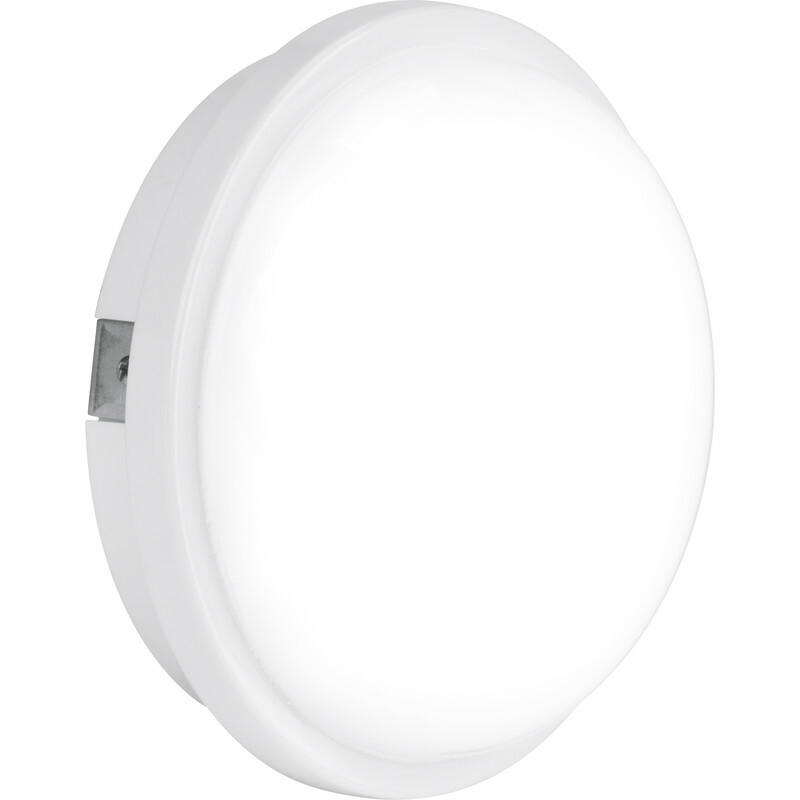 Enlite Utilite LED Round Polycarbonate IP65 Utility Bulkhead 15W 1250lm A+ is rated 4.4 out of 5 by 31. Rated 5 out of 5 by Islawr2019 from Great little light, was not expecting it I bought this light as a last minute fitting for my new bathroom, wasn't expecting much, but it's really quite nice once up on the ceiling, the fitting itself almost fades into the white ceiling so you don't see the potential ugly plastic. Brighter than expected, but for a bathroom it works. Wouldn't suit if it was going to be on longer than the 10-20 minutes at a time. Rated 5 out of 5 by Phil777 from Excellent light. I bought this light to replace a 20 year old incandescent ceiling light in my bathroom. It contained a 100watt bulb and was not very bright. Most people used the energy heavy halogen downlights also in the ceiling. In a bid to reduce my bills I am changing over to the latest very effiecient LED bulbs, they are so much more effecient and give a better colour than CFLs. I will soon be applying for a EPC and a good way to go up a band is to increase how many LEDs you have over incandescent and halogen bulbs. I looked at loads of ceiling lights and technically this looked the best although I thought that 4000k may be too cold, it isn't. It is also very bright, easy to fit, and to lower for painting. To top it all it is an excellent price made by a well respected manufacturer, Aurora. Rated 5 out of 5 by Rob51 from Very neat and very bright Needed a neat functional bulkhead light for the rear patio. It is very bright - in fact it is quite a glare when looking in to it - but gives a very good spread of light illuminating a large area. It is low profile and blends in nicely on a white wall. Hope the specified lamp life is correct. Rated 5 out of 5 by Gumpbie from Cheap and cheerful Easy to fit and very bright LED lighting. Rated 4 out of 5 by Stu Urn from Good for the money Dont expect too much from this 15w lamp - after all its only the equivalent of a 75w bulb in old watts. Also it's quite petite (at just 6.5" diameter) which could make it glarey. I recommend the other choice , 20w = 100 old watts and wider. The Colour output is a sensible 4000k, rather that other lamps of say 6000k / daylight (which can be a scary-blue light). Rated 5 out of 5 by Barrie69022 from Good fitting I have used a couple of these now! Would recommend!